Kindergarten Hoppenings: To Gobbler's Knob. It's Groundhog Day! 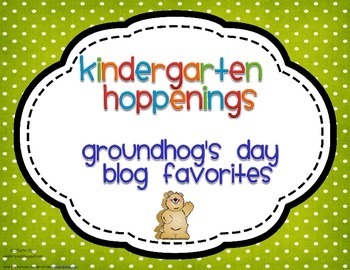 Groundhog Day, such a silly little tradition but nonetheless it is fun! I started to think about all my traditional stuff and decided I need to do/make more. I know it's just one day, but I figure...might as well make it count! I cannot say how much I LOVE this book. 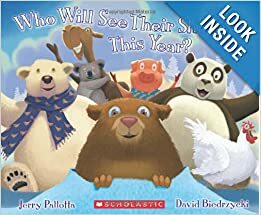 I ordered it in the Scholastic SeeSaw January book order. Two words...SUPER CUTE! 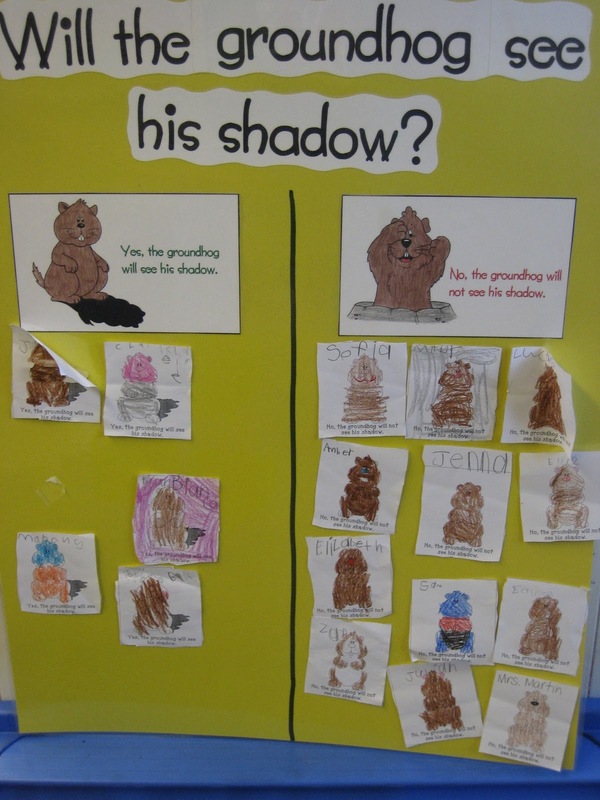 The day before we make a graph as to whether or not the we think the groundhog will see his shadow. A very traditional activity. Here's my a picture of my graph. Here is a new math activity. I based it on graphing heads or tails. I plan on copying the coin part on cardstock to make it a little heavier. 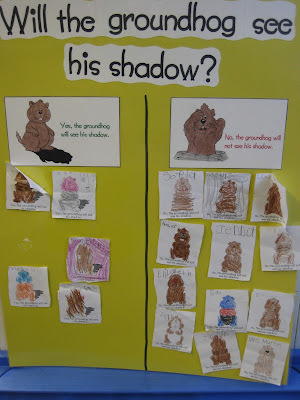 Have students color and cut out the circle groundhogs. Tape or glue them together. Have them flip it and graph the results. A groundhog puzzle. It's pretty basic. **Please note, if you copy it...the last two pages are not supposed to be used together. I plan on using the page that actually matches the outcome of whether or not our friend the Groundhog saw his shadow. I love the groundhog day book! Found it just in time, too! Thank you!! Thank you for all of your creative and clever ideas! Groundhog day will be a good one this year! This looks like fun. Is the clipart for the poster/graph available?